The airbag spring combination provides virtually linear response, and the spring provides a measure of safety by supporting the unloaded turntable in the event of accidental air loss from the airbag. Fittings and tubing are simple with only two connections. 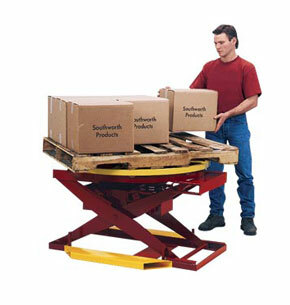 The unit is equipped with fork pockets for easy relocation and to provide a stable base that does not require lagging.